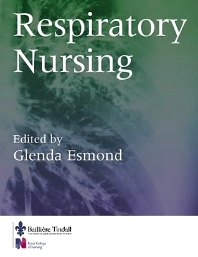 A comprehensive, patient-centered textbook of respiratory care covering the full range of patients' needs/problems and related nursing responsibilities for acute and chronic respiratory conditions in both primary and secondary health care sectors. This is a rapidly changing field in which nurses need to maintain their knowledge of developments in practice. Research/evidence-based but with a strong practical approach throughout. Anatomy and Physiology. Respiratory Assessment. Smoking and smoking cessation. Diagnostic investigations. Respiratory Medications. Living with Chronic Respiratory Illness and Breathlessness. Oxygen Therapy. Respiratory Support Techniques. Respiratory Infections. Nutrition. Pulmonary Rehabilitation. End-Stage Management of Respiratory Disease. Primary and Secondary Care Interface.